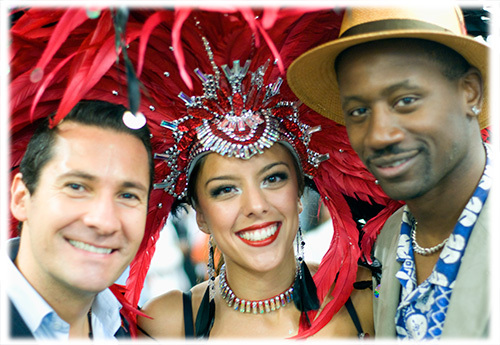 “Returning to the UK’s capital this October, the world famous UK RumFest will take place on Saturday 12 and Sunday 13 October 2013 and will offer visitors to London’s ExCeL Exhibition Centre the chance to embark on a voyage of rum discovery. Featuring a brand new two-tiered ticketing structure, the seventh annual UK RumFest will provide a tailor made experience catering for discerning connoisseurs and casual enthusiasts alike. This year’s UK RumFest will once again showcase over 400 of the rarest and most diverse rums from across the globe as well as feature intimate seminars hosted by industry aficionados, an extended Tropical Food Market with mouthwatering food from all over the world, plus live music and main stage presentations and holiday giveaways. UK RumFest continues to be THE premier event for educating and entertaining rum enthusiasts. Tickets are on sale now with standard tickets priced at £25 plus booking fee or premium tickets, which give access to the brand new Connoisseur Cove at £45 plus booking fee. 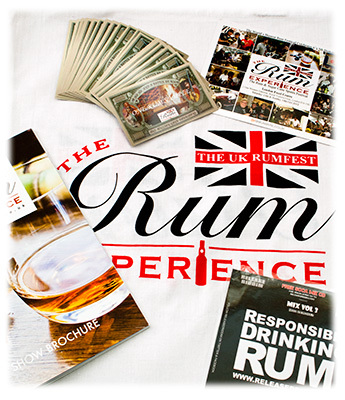 All available from the brand new RumFest website which has also launched this week. Rum’s popularity has soared in recent years, becoming the UK’s fastest growing spirit and the drink of choice for millions across the globe. Today, The Rum Experience, founders of the UK RumFest are thrilled to invite rum lovers to join them at the world’s largest celebration of rum culture, the seventh annual UK RumFest. After 2012’s sell out success, this year’s UK RumFest will feature a series of innovations to the programme, all of which are designed to deliver an excellent experience for UK RumFest visitors wanting to enjoy some rum-fuelled fun and entertainment. This year’s event will feature a mixture of rum bars, providing the opportunity to sample the best known brands on the market, either as a 1 centilitre free sample in exchange for a token or as a professionally mixed cocktail, alongside a series of stands from carefully selected rum brands. Bringing together the industry’s top blenders, distillers and mixologists, visitors are invited on a journey of rum discovery with a vast array of masterclasses, talks and seminars available to all ticket holders. For those who have a passion for cocktail sampling, creating or spectating, worldclass mixologists will be showcasing their skills through cocktail battles and demonstrations. The Carnival atmosphere as always will be electric and will be heightened by a bill of live music that will reverberate throughout the weekend featuring a heady mix of reggae beats, samba rhythms and traditional souk dancers. There really is no other show quite like it. Taste buds will be tantalized at this year’s extended Tropical Food Market hosting an abundance of street food outlets on hand to help soak up the rum drenched day. Embracing cuisines from across the rum regions, where the sweet sugar cane grows in abundance, traders have been invited to bring their flavours from the Caribbean, South America and Africa. Generous samples will be available and for those enticed by the cuisine on offer will be able to purchase meals from each of the food outlets. For those interested in discovering more, celebrity TV Chef Hasan De Four will be hosting the live presentations on the Demo Kitchen Stage showcasing exclusive one-off masterclasses including rum & food pairing, cooking with rum and much more to be announced very soon. For the first time, UK RumFest introduces the brand new Connoisseur’s Cove area inviting the discerning drinker to an exclusive rum haven. Visitors can sip, savour and discover some of the rarest, most exquisite premium rums from across the globe. This exclusive area is perfectly designed to take the connoisseur on an extensive rum discovery, set away from the lively Carnival crowds and creating an incredible journey. Expect some very special rums of distinctions to sample whilst educating palates like never before. For those rum lovers who haven’t attended before, I can’t state enough how much you will want to attend this year’s UK RumFest. To see a little glimpse of last year’s UK RumFest please take a look at the RumFest 2012 picture gallery. You can also find additional images from both last year and the 2011 UK RumFest on the Rum@Charlosa RumFest Pinterest Board. Please check back for more details as they become available, as well as an overview of what to expect for those who haven’t previously attended the UK RumFest. « Global Rum Ambassador Ian Burrell P.P..P…Picks up a Penguin….